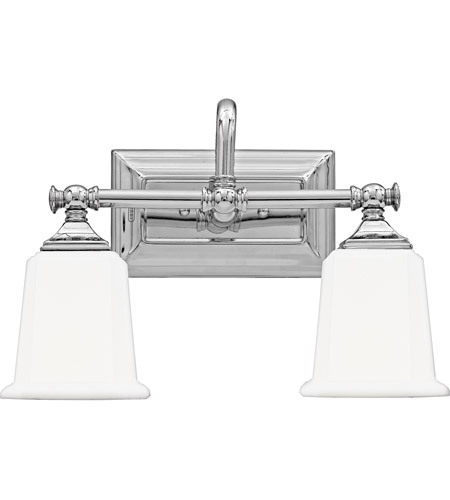 Q Can the Quoizel Lighting Nicholas 3 Light Bath in Brushed Nickel NL8603BN be installed with the globes facing down as well as facing up? 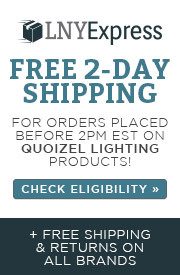 A The Quoizel Lighting Nicholas 2 Light Bath NL8602C may be used in up or down lighting applications. 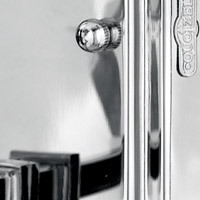 Q What are the dimensions of the backplate? 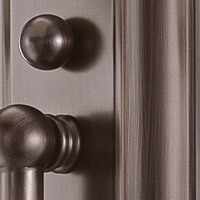 Need to ensure it covers the electrical box. 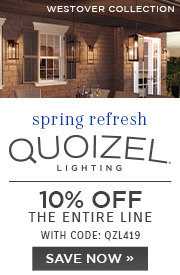 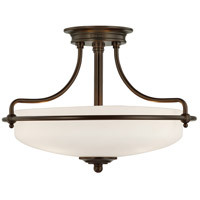 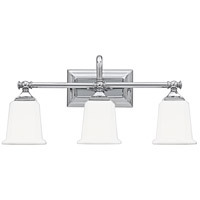 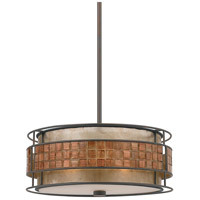 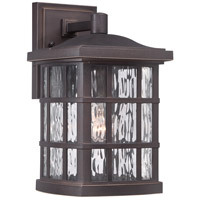 A The Quoizel Lighting Nicholas 2 Light Bath Light NL8602C backplate dimensions are: (W) 8", (H) 4.5". 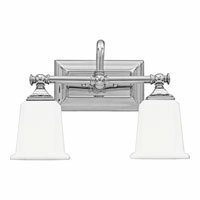 Q I like the Nicholas Collection. 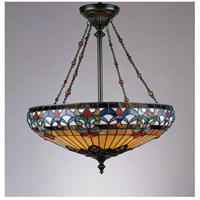 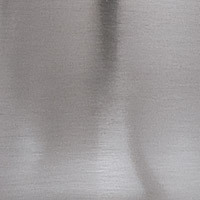 The description states that the shade is "Opal etched glass", is that an ivory color or white color or other? 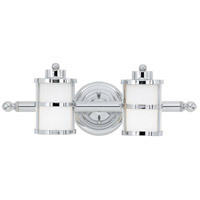 A The Quoizel Nicholas 2 Light Bath Light NL8602C glass is an opaque white, with a chemical etching on the interior, giving it a better diffusion.